July 19, 2017, 9 a.m.
“The finding that people are more likely to remember the platform where they found the content (e.g. 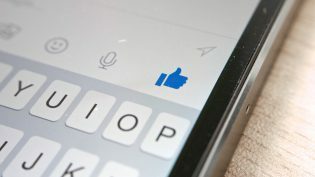 Facebook), rather than the news brand that created the content, will be troubling for many publishers,” study authors Antonis Kalogeropoulos and Nic Newman wrote. Together with YouGov, a market research company, the Reuters Institute tracked thousands of desktop internet users in the U.K. and then followed up with some of them within 48 hours to ask what they could remember about what they saw online. The Reuters Institute study found that orgs with strong brand identity can cut through the noise online. When accessed via search, BBC News, The Guardian, and The Telegraph were the most correctly identified outlets, the Reuters Institute study found. On social, BuzzFeed jumped into the top three, taking the second spot of most-correctly recognized. The Guardian was first and BBC third. Additionally, news consumers who accessed stories from news sites that they regularly read were much more likely to remember the source. Eighty percent of regular readers who came from social and 72 percent who came from search recalled the outlet where they accessed the story. The level of recall also depended on the type of coverage. The sources of political news and weird news were most likely to be correctly remembered. “The high recognition for weird news may relate to high recognition for BuzzFeed, which was the source of many of these stories,” the study said. Fifty-nine percent of search and social users were able to correctly attribute opinion pieces, while explainers were identified properly just 27 percent of the time. Given the search-heavy nature of explainers that are often identical — they typically focus on stories that are in the news — Kalogeropoulos and Newman hypothesized that their formulaic nature made them difficult to differentiate. Finally, there may be hope for the future. Users under 35, who are typically much more fluent in social media and the Internet than their elders, were much more adept at remembering a story’s source than older users. Lichterman, Joseph. "People who get news from social or search usually don’t remember the news org that published it, survey finds." Nieman Journalism Lab. Nieman Foundation for Journalism at Harvard, 19 Jul. 2017. Web. 23 Apr. 2019. Lichterman, Joseph. "People who get news from social or search usually don’t remember the news org that published it, survey finds." Nieman Journalism Lab. Last modified July 19, 2017. Accessed April 23, 2019. https://www.niemanlab.org/2017/07/people-who-get-news-from-social-or-search-usually-dont-remember-the-news-org-that-published-it-survey-finds/.